"GREEN is how we live, work, and build through intentional actions to preserve natural resources for future generations." B.R. 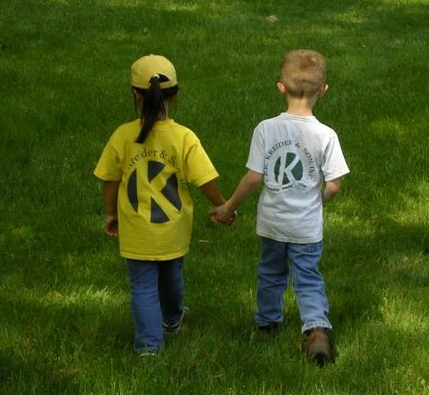 Kreider & Son, Inc. is committed to attaining and maintaining a healthy environment for our future generations. Thus we are partnering with environmentally conscientious organizations to conserve ground water, nutrient rich topsoil and natural resources through our construction practices. B.R. Kreider worked with Land Studies on a project with Landis Homes. This project won Landis Homes 1st place in the Water Environment Foundation Storm TV Project! A LEED Innovation Credit was recently approved for projects that have a sufficient percentage of their contractor/subcontractor building force that was Green Advantage Certified at the time of construction. Our dedicated and professional team of estimators and project managers commit to pricing jobs while keeping in mind the best interests of the customer and our natural resources. The knowledge of our design-build team and expertise with efficient site plan design and execution has saved our clients significant investment dollars on their projects. Reducing the Carbon Footprint - Our management team of BRK and employees support "Green" efforts by taking measures to reduce the carbon footprint within the daily environment. The Dauphin County Conservation District in Dauphin County created a demonstration plot showcasing the many options of pervious surfaces that are available to be installed to meet the new federal storm water regulations Best Management Practices (BMPs) and pollution prevention requirements. B.R. Kreider & Son provided a team to manage and install the various types of pavement materials.